An exhibition entitled ‘The Bassat Collection Contemporary Art of Spain’ opens at the Palace venue of Bulgaria’s National Art Gallery in Sofia on March 1 and will continue until April 9 2018. The exhibition features 84 works by world-renowned artists, key figures in the art of the 20th century, such as Picasso, Miró, Barceló, Tàpies, Karel Appel, Alexander Calder, Andy Warhol, and Christo. The initiative of The Cervantes Institute, and the Embassy of Spain in Sofia is a major contribution of Spain to the cultural programme for the Bulgarian Presidency of the Council of the European Union. Over the past 40 years, Luís Bassat and his wife, Carmen Orellana, created the Bassat Collection, one of the most representative sources of major works from the history of art of the 20th century. Since 1973, its content has continued to grow through the acquisition of works by internationally acclaimed artists. The Collection includes more than 2000 fine examples of paintings, sculptures and graphics that offer a global view of Catalan and Spanish art from the post-Civil War period to the present day. Since 2009, the Collection’s exhibition space has been located in Mataró, a small settlement near Barcelona, by a consortium between the Mataró Contemporary Art Museum and the Bassat Collection. It is housed at the Nau Gaudí, Antoni Gaudí’s first architectural project in 1883. 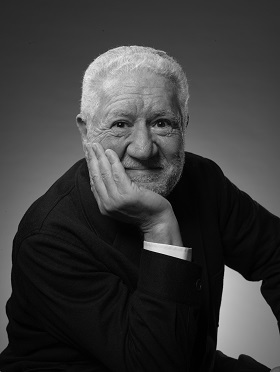 Luis Bassat, born in Barcelona in October 1941 is one of the most famous Spanish advertisers and collectors. His grandfather was born in Shoumen, a descendant of the Jews expelled from Spain in 1492. Bassat found out late about his connection with Bulgaria. In 2016, he was appointed as a goodwill ambassador by the Ministry of Foreign Affairs of the Republic of Bulgaria. At 25, he created his first advertising agency. In 1975, he founded the Bassat & Asociados advertising agency, today’s Bassat Ogilvy (after transferring shares to the multinational company, Ogilvy & Mather). He developed some of the world’s most famous brands and organised the advertising campaign for the 1992 Olympic Games in Barcelona, the winner of numerous awards in the field of advertising. In 2004, his name featured in the list of ‘The Most Influential Men in Advertising’. In 2006, when he turned 65 and retired, Bassat Ogilvy ranked first among the advertising agencies in Spain.